QUESTION: What diameter would the piston be? 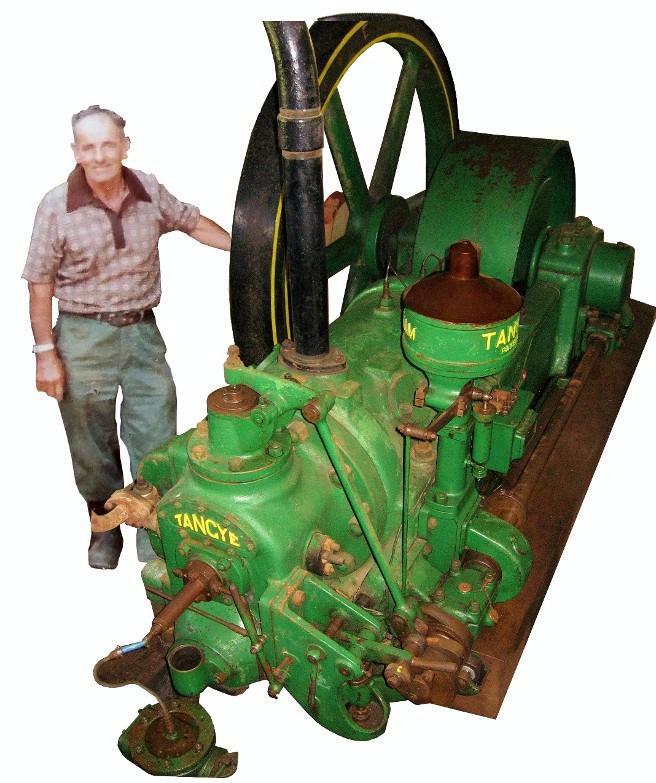 ANSWER: ALEXANDER SAWMILL TANGYE ENGINE This is a single cylinder diesel engine with a piston diameter of over 300mm The engine without the flywheel weighs 2 tons and the Flywheel 3 tons. It develops 175 hp at 275 rpm drove the entire sawmill at Opouteke through a drive chain of belts and pulleys.It has been completely restored by Merv Birchall who is standing alongside it, and operates on Open Days. It came originally from White Island where it was involved in sulphur mining. One of our projects is to get the entire mill up and operating again. Any offers of help appreciated.